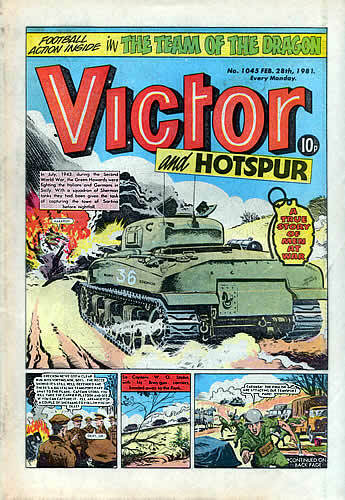 Hotspur merged with Victor in Victor issue number 1042 Feb 7 1981. Hotspur stayed on the cover until issue 1055.Starhawk is there from issues 1042 to 1046. This page features the complete run.Kudos once more to Rod! Click on the image below for some info regarding Starhawk in Victor and Hotspur.